Sergio Garcia to be a first time dad! 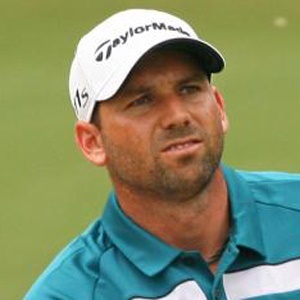 Cape Town - Reigning Masters champion Sergio Garcia will soon have a new practice partner. The Spaniard, who claimed his first Major with his win at Augusta National in April, announced on Twitter that his wife, Angela, is pregnant with their first child. The couple were married in July this year. Garcia tweeted the happy news stating that the baby would be arriving in March 2018, just before the defence of his crown at the 2018 Masters. Garcia is currently the 11th ranked golfer in the world. Garcia's next tournament, the Italian Open, gets underway in Milan on October 12.